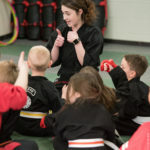 Action Karate has great features to help you stay in touch with your school and Martial Arts training. 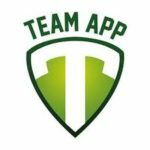 Below you will find access to our Team App for your smartphone and a connection via Facebook. You will find important information regarding the curriculum, schedules, and forms you will need through out your training. If you have any questions just ask an instructor for help. Our goal is to help you achieve your Black Belt Goals. Action Karate Quakertown now has their own Smartphone App. It'll keep you up-to-date with your favorite team's news, events, schedules and much more. 2. Log in. Then search for Action Karate Quakertown and request access to group(s) that apply to you. If you don't have a smartphone, fill out the contact form on the right and we will add you to the e-mail list for important announcements and updates. Facebook groups are great for staying in touch with the people you want. Share photos and videos, have conversations, make plans and more.